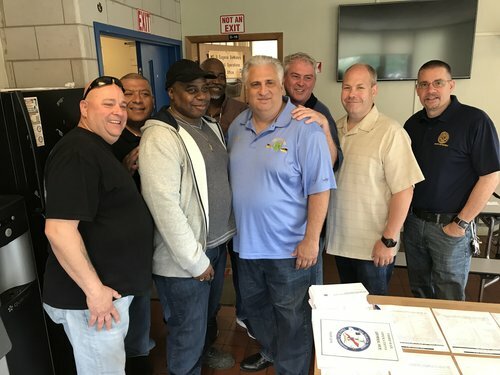 Local 100 President Tony Utano, who is number one in the seniority list for Power Maintainers, visited the 38th Street Yard in Brooklyn, where he had picked work locations for years. 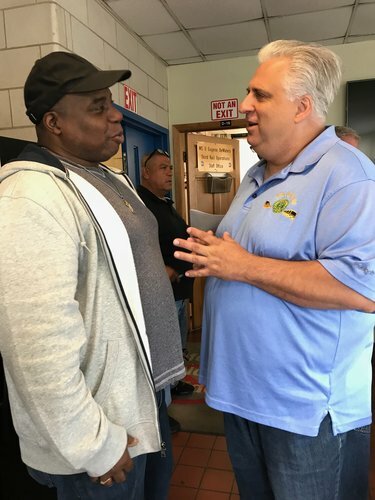 The visit was a chance to reconnect with fellow MOW members, including Harold Calhoun (pictured talking with President Utano), who is number one in seniority for Third Rail Maintainers. With Tony were MOW VP John V. Chiarello and Power Division Chair Steve Higgins. 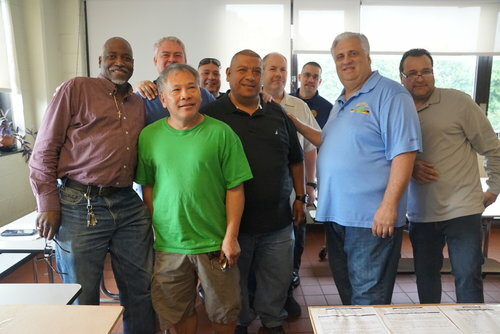 Section Chair Tommy Creegan was also on hand for the pick.